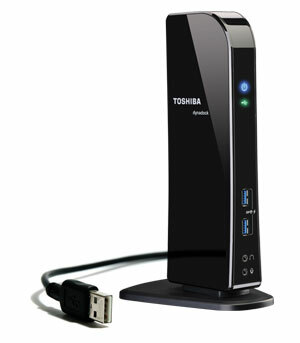 Maximize connectivity for productivity and convenience. 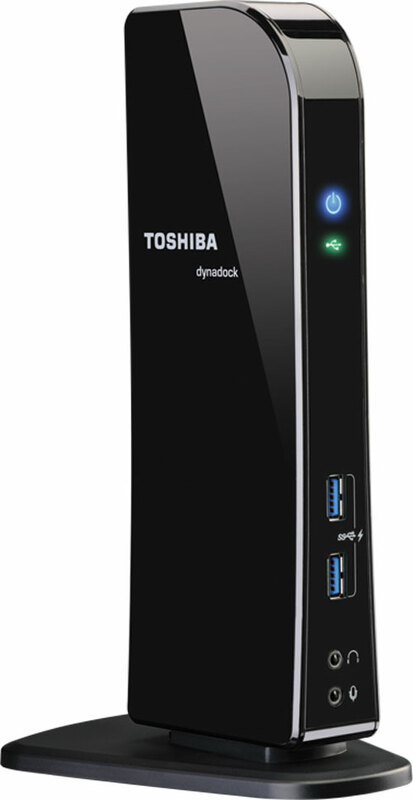 Offering one-cable convenience, dynadock® makes it easy to tap into the full-size gears that can super-size your productivity and entertainment. Achieve less clutter and more productivity with all computer peripherals linked to your laptop, by using one USB3.0 cable - backward compatible with USB2.0. 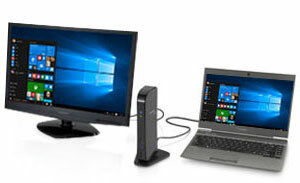 Easily turn your laptop into a workstation that can access large screen displays, stereo speakers, external hard drives, optical drives, printers, a full-size keyboard, mouse and more as you work. And when you're ready to go, you can disconnect in seconds! Take your laptop's entertainment potential to the next level and enjoy brilliant high-definition viewing when you stream videos or play games. With an HD graphics card that supports display resolutions up to 2048 x 1152 and HDMI™ out full HD 1080p content, you can connect to up to two external displays simultaneously - even an HD TV! Its 3.5mm audio ports or the HDMI™ out port can also pump out 5.1 surround sound, providing a true multimedia experience. 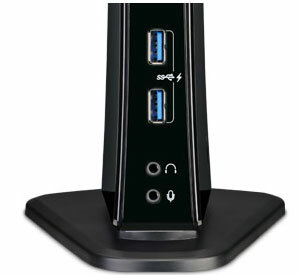 Eliminates the need to search for an open AC plug or powering up your laptop to charge devices. The dynadock® U3 features two front USB ports with always-on power USB Sleep & Charge ports for charging your smartphone and gadgets whenever you're on the desk.